CRICKETER David Boon, famed for consuming more beer on the flight from London to Sydney than any other human, hasdumped his beer sponsorship for whisky. The former frontman for VB, who was immortalised as a talking doll that chatted back during TV cricket coverage, will front the campaign for Canadian Club in the biggest brand shift by a spokesman since John Laws dumped Mortein for Raid in the 1980s.. 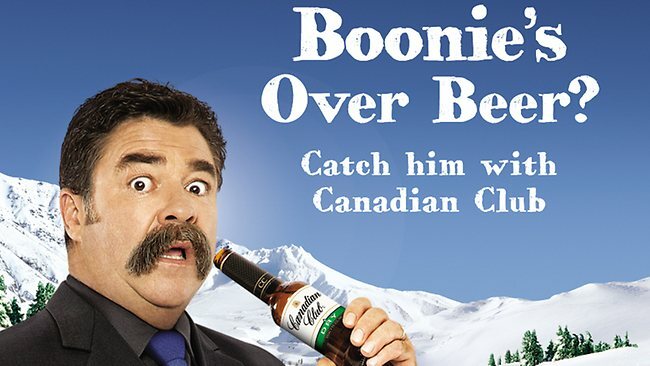 Boon will become a central element in the advertising campaign for the North American whisky brand, using the slogan “Boonie’s over Beer”. The campaign turns on its head the connection Boon has long boasted with beer since his cricketing days that led to VB crafting an award-winning campaign around the cricketer, giving away small talking Boonie dolls that offered running commentary during cricket matches. Canadian Club brand director Trent Chapman told Media that the company had been working a solid six months to get Boon to front the campaign. The brand, part of Beam Global, which also sells Jim Beam, has been trying to position itself as an alternative to beer and cash in on the interest Australian drinkers are showing in alternatives.